The Canadian Football League has voided the contract of BC Lions free agent signing Euclid Cummings over unspecified criminal charges the defensive lineman is facing. Both the CFL and BC Lions football club have made statements regarding the matter. This is a most untimely development for the Lions who signed Cummings in free agency with the intent of bolstering their defensive line. It’s unclear when these charges were made against Cummings, but if he knew about them and withheld them from the team, then it doesn’t look good on him. It also won’t look good on the Eskimos if they knew about it when they decided to let him walk in free agency, or even before the season ended last year. Either way it doesn’t look good on the player and his agent at this time. The Lions may have gone in a different direction and perhaps lost out on another player committing funds to Cummings, and are also on the hook for part of his salary and the loss of cap space according to Dan Ralph. EDIT: I have been told that the $70,000 bonus paid to Cummings will NOT count towards the Lions cap number. Not confirmed. More information on the charges Cummings is facing from an incident that occurred in Vancouver while he was with the Bombers. This seems ridiculous on the surface if the Lions knew nothing about the charges and were not informed by Cummings party. The legal matter is under a publication ban, so we’ll have to wait and see how his personal situation shakes down. CFL Free Agency is underway and we have all the Lions transactions and news here in a chronological timeline. ?BREAKING ? @TravisLulay returns to #BCLions on one-year deal! The 34-year old enters his 10th season with the organization. Welcome back, Trav! ? ? “Joel brings a level of physicality and the kind of gritty attitude that we need to add to our offensive line.”#BCLions add @jfig305 in opening moments of free agency. The #Details had @jfig305 with just 1 sack allowed last season.
? MORE BEEF UP FRONT ?#BCLions sign offensive lineman Jeremy Lewis ( @J_LEW68 ). He previously spent time in Hamilton and Montreal ? “He’s going to give us some needed depth and will absolutely compete for a starting spot in camp.”#BCLions add offensive lineman @J_LEW68 in free agency ? ?BREAKING ?#BCLions sign free agent defensive tackle Euclid Cummings (@splitdecision99). We just signed DB Loucheiz Purifoy! Welcome to #RNation, Loucheiz ? The team has signed defensive back @cjfenn12 to a two-year contract. Another one for the secondary!#BCLions sign DB @AJJefferson ? And depending on how you keep score, you could say the Lions have secured 10 new faces. Also to be announced is the signing of import wide receiver Ricky Collins, a 25-year-old who has spent time with Saskatchewan and Hamilton, whose contract was agreed upon last week. The @BCLions have signed National REC Cory Watson. The West Alabama product has appeared in 54 CFL games, recording three interceptions and three forced fumbles. #BCLions bring back DB @CauchyMuamba, add fellow ? ?’s @_MikeDubuisson_ and Edward Godin ? ?TRANSACTION ?#BCLions sign QB Cody Fajardo ( @CodyFajardo17) to a one-year deal. Fajardo earned a Grey Cup ring with Toronto in 2017. ?TRANSACTION ?#BCLions sign DB/LB Keelan Johnson (@3hree8ight). Keelan led the @CFL in special teams tackles in 2017 with 29. 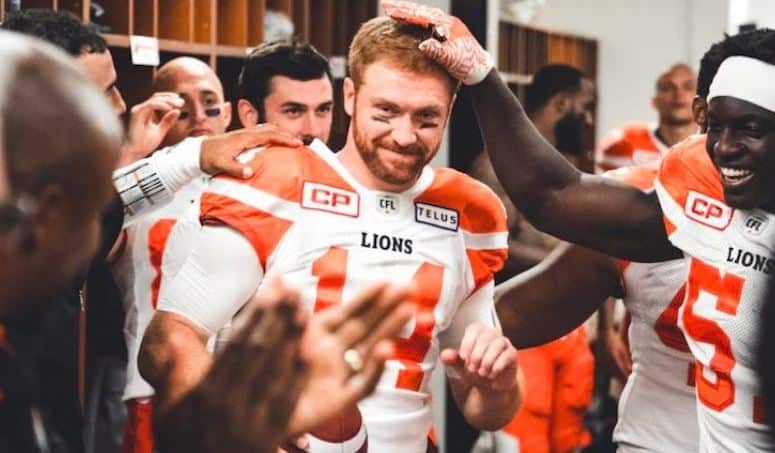 Lions fans got a gift on the eve of CFL free agency with the re-signing of Quarterback Travis Lulay. Reports had the two sides talking about a deal, but the holdup appeared to be on Lulay’s end as he decided whether he wanted to continue to play football. Lulay wanted to play, he just didn’t know if his knee would be up for it. Obviously he has seen enough progress to commit to another year. The Lions needed this, and it means they go into the season knowing Lulay will be there as a safety net not only on the field, but as a mentor to Jonathan Jennings. “We saw last season that, when called upon, he can still be one of the very best quarterbacks in our league. He is a tremendous leader and we are very pleased to have him back in 2018.”, Head coach Wally Buono said in a club release. Entering Tuesday, the Lions could have as many as 14 players about to testing the waters. Reports have the club working on a deal with only one of those players, defensive back Chandler Fenner. Some key names from last year’s club are on the list, including Ronnie Yell, Kirby Fabien, Craig Roh, Alex Bazzie, Bryant Turner Jr. and Louchiez Purifoy. Although not officially announced by the team, 3DownNation.com’s Justin Dunk is reporting that free agent defensive back Cauchy Muamba is returning to the West Coast and has signed with the Lions. Muamba, originally selected by the Lions in the fifth round, 34th overall by B.C. in 2010, spent three seasons with the Lions before stints in Winnipeg and most recently with the Eskimos. CFL free-agency begins at 9:00am Pacific tomorrow. We’ll have a wrap of the Lions work later in the day and will be following all the action @BCLionsDen on Twitter. The CFL has announced some key dates for the 2018 football season. Teams will be able to sign free agents beginning at noon ET. The Eastern Regional Combine will take place at Olympic Stadium. The schedule and roster for combine testing will be announced closer to the date. The Ontario Regional Combine will take place at the Athletic Centre at the University of Toronto, with on-field components taking place at the University of Toronto bubble. The schedule and roster for combine testing will be announced closer to the date. These meetings will be held in Winnipeg, Manitoba. The Western Regional Combine will take place at Subway Soccer South. The schedule and roster for combine testing will be announced closer to the date. In preparation for the 2018 CFL Draft the league’s general managers, coaches and scouts will be in Winnipeg, MB to evaluate more than fifty of the country’s top football prospects. The 2018 National CFL Combine presented by adidas will be held at RBC Convention Centre Winnipeg and for on-field drills at the University of Winnipeg. The schedule and roster for combine testing will be announced closer to the date. For the entire 2018 CFL Draft order, click here. The U SPORTS East/West Bowl will be held in Quebec City, Que. November 25th – 106th Grey Cup presented by Shaw in Edmonton, Alta. Lions Notebook: Mini-Camp Begins, Back in Black…or Not? BC Lions mini-camp got under way today at the club’s training facility in Surrey on Thursday signalling the beginning of the end for the long CFL off-season. With the draft just around the corner, the Lions are wrapping up the last of their free agent camps as well, with the last stop in Seattle on Sunday, May 1st. Let’s get caught up on recent developments in the CFL, and of course the BC Lions in this edition of the Lions Notebook. Comprised of mainly first and second year players, the BC Lions hit the field in Surrey for OTA’s. With the exception of a few veterans, the club wants to use the two day sessions to evaluate what players will advance to main camp and also to have those players up to speed on the schemes the club wants to deploy. The idea is there would be less teaching at training camp and more working on systems. Neither of the club’s top two QB’s are involved, and the Lions will try and determine the pecking order of the returning Greg McGhee and freshly signed Keith Price, formerly with Saskatchewan. Cam Tucker has written a good piece on that here. Some of the more recognizable names on the roster are offensive linemen Hunter Steward and T-Dre Player. Steward is looking to rebound from two injuries in two seasons, both to the same foot. His promise as a player is huge, but he has to stay healthy this year. Player has seen time as a starter and as a backup in his first two seasons with the club, and the Lions would love to see him continue to evolve to provide national depth on the offensive line. Linebacker Bo Lokombo is also in camp and after making great strides last season, he looks to make an even bigger contribution this year on the Lions defense as part of a linebacker group that includes the hard-hitting Solomon Elimimian and Adam Bighill. Lokombo is joined by free-agent national DB Mike Edem, who is also participating looking to get up to speed with his new club. Speaking of Elimimian, Buono told reporters that judging by everything he’s seen and has been told, the CFL record holder for tackles in a season has recovered 100% from the ruptured Achilles tendon he suffered last season, which would be a quick recovery. Let’s hope that’s the case and Solly returns to terrorize CFL offences once again. The first day of mini-camp also marked the official return of Wally Buono to field as head coach once again. Buono called it an ‘exciting’ day and Lowell Ullrich has some thoughts here. On a negative note there is concern that highly touted off-season signing, running back Mikel Leshoure, was a no-show. No further information was provided by the club. You can download the full mini-camp roster at BCLions.com. Of course, the Lions are also preparing for the 2016 CFL Canadian College Draft on May 10th. 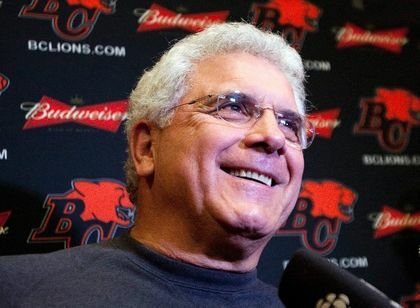 The Lions hold the third overall pick and Wally Buono has been quoted as saying it’s the deepest draft in recent memory. Who the Lions will pick is anyone’s guess, and I certainly don’t have an informed opinion on who they should. But my hope is they lock in on a player who can help them right away, preferably on the offensive line, defensive line or receiver positions. The Saskatchewan Roughriders are said to be considering offers for the number one pick, and Buono has moved up in the draft before. But if the draft is deep and with the Lions sitting with a good pick at three, I expect they will let the cards fall where they may and pick the best player left on their draft board. Following the first round, the Lions will pick fourth in five of the next six rounds (Winnipeg forfeited their first rounder in the supplemental draft last year when they chose Garrett Waggoner) and don’t have a pick on the fifth round. Following a teaser video and some still shots that surfaced this week, it appears that the Lions will indeed returning to black as a prominent colour in their new Adidas uniforms. The official unveiling for all teams will be held at an event in Montreal on May 12th. But is the uniform black? 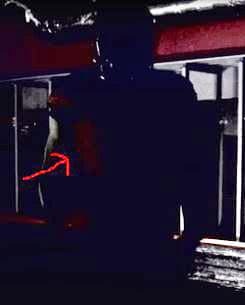 After further analysis of the video the club released there is an orange tinge on the player’s body as he emerges from the shadows. The shoulders and pants are definitely black and the helmet is believed to be as well. General consensus from those that have seen the new threads is that the Lions have a pretty sharp new look. Shawn Lemon of the Saskatchewan Roughriders, who has seen all the new jerseys had this to say about the Lions new look. Here is the teaser video the Lions released, so you can make your own assumptions. Finally, the CFL announced new initiatives in regards to player safety on Thursday. The league has put more emphasis on the effect of concussions, assigning an ‘injury’ spotter for every league game, continuing to take part in new testing and research and will give players the option of seeing an independent doctor with concussion in cases if they are diagnosed with a concussion. Player safety, especially surrounding concussions is becoming more and more of an issue, not only in football, but all contact sports. It’s nice to see the CFL taking steps to make sure the game is as safe as possible for its players.